On March 31, 2015, the Departments of Agriculture, the Interior, and Commerce (the Departments) issued revised interim final rules (revised rules) for expedited trial-type hearings and submission of alternative conditions under the Energy Policy Act of 2005 (EPAct). The trial-type hearings are conducted to resolve disputed issues of material fact with respect to mandatory conditions and fishway prescriptions submitted by the Departments for inclusion in a Federal Energy Regulatory Commission (FERC) hydropower license. The interim final rules were initially issued in November 2005 (2005 rules). Since then, approximately 20 hearing requests have been made, many of which have resulted in negotiated agreements with the Departments, and some of which have gone to trial. The Departments state that they issued the revised rules to address: certain matters left open in the 2005 rules; responses to comments on the 2005 rules; and the Departments’ experience implementing the 2005 rules. The revised rules are substantially similar to the 2005 rules, but include several modifications. The revised rules will take effect on April 30, 2015. However, in response to a 2009 joint request from the National Hydropower Association and Hydropower Reform Coalition for additional opportunity to comment on the 2005 rules, the Departments have requested public comments on how the revised rules may be improved. The deadline for comments is June 1, 2015. The revised rules include some improvements to the trial-type hearing process, but are problematic in other respects. One improvement is a new provision allowing a stay of the proceeding of up to 120 days to facilitate settlement negotiations. Another positive change is that the Administrative Law Judge’s (ALJ’s) decision may be issued up to 120 days from when the case is referred to the ALJ, rather than the 90 days provided in the 2005 rules. The revised rules also clarify that it is the responsibility of the ALJ, not the Department, to determine the existence of disputed issues of material fact, which should provide transparency and avoid the appearance of bias. The revised rules clarify that the opportunity for a trial-type hearing and submittal of alternatives applies when a Department exercises authority reserved during a FERC license proceeding to issue conditions during the license term and extends the time from 30 to 60 days for a party to request a hearing or submit alternatives in that situation. Although a welcome revision with respect to reopeners, a Department may still evade a trial-type hearing by limiting the scope of its preliminary conditions, then adding new or modified conditions in its final conditions after the opportunity for a trial-type hearing has passed. The revised rules allow a party that filed an alternative to a Department’s preliminary condition or prescription to file a revised alternative following the ALJ decision. While an improvement, the Departments continue to resist the statutory mandate to accept an alternative if it meets the statutory criteria of protecting the relevant resources, while costing significantly less than the Department’s preliminary condition or resulting in significantly improved production of electric power. The revised rules hold that a party requesting a trial-type hearing has the burden of proving its position by a preponderance of the evidence. This appears to be an attempt to shift to license applicants the Departments’ statutory burden to support their decisions with substantial evidence. Section 33 of the Federal Power Act (FPA) provides that the Departments must give equal consideration to power and non-power values when developing their mandatory conditions. The revised rules interpret this to mean that the equal consideration requirement applies only when a party has submitted an alternative condition or prescription. This clarification contradicts the plain language of FPA Section 33 reflecting Congress’s intent that the Departments balance power and nonpower factors when exercising their mandatory conditioning authority. License applicants and other parties to a proceeding may avail themselves of the procedures. In addition, licensees and other parties to a proceeding may use the new procedures in post-license reopener proceedings if the Department reserves its authority in the license to submit conditions or prescriptions and subsequently exercises that authority. Although there have been few trial-type hearing requests recently, applications for many original licenses are under development or in the early stages of processing and 240 existing projects will be the subject of applications for a new license during the next 10 years. Thus, there could be a significant number of license applicants seeking to take advantage of the revised rules in the coming years. If you have questions about any of the issues raised in this alert, or are interested in commenting on the revised rules, please contact Mike Swiger or any member of the firm’s Hydroelectric practice group at (202) 298-1800. Van Ness Feldman’s hydroelectric practice provides comprehensive legal, policy, and business advisory services for the full range of issues affecting hydroelectric projects. 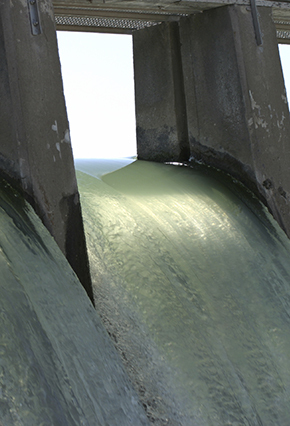 Van Ness Feldman’s decades of experience cover every aspect of hydroelectric project regulation, ranging from licensing and regulatory compliance to litigation.